Gentle Readers, With this article we once again benefit from Tony Grant’s expertise as a tour guide in England. 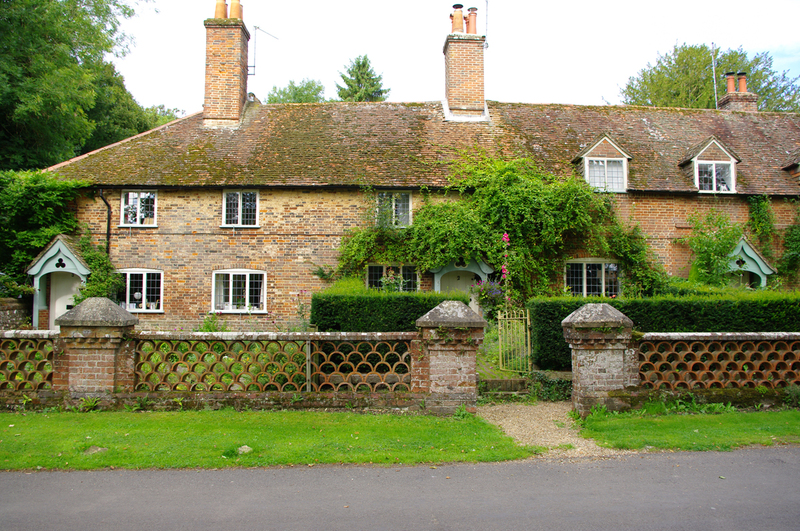 He has written a lovely post about Steventon Rectory and its influence on Jane Austen’s description of Barton Cottage in Sense and Sensibility. Does Barton Cottage, the cottage that Mrs Dashwood, Elinor and Marianne in Sense and Sensibility, retreat to and which is located in Devon, just north of Exeter, owe much to Steventon in Hampshire, Jane’s first home? I recently went to Steventon again, the birthplace of Jane Austen and where she spent her formative years until the age of twenty six. Steventon was where she thought she would spend the rest of her life. As soon as she was born she was sent to live with a family in the village. The mother of the household she was sent to became Jane’s wet nurse. Mrs Austen had nothing to do with her children as babies. This might provide an explanation for Jane’s aversion towards her mother as she grew older but it also explains that her attachment to Steventon was not just through her own family and the rectory but it was linked to the wider community and she had very close ties to some of the villagers. 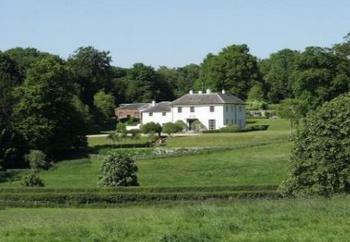 Steventon is set in a small Hampshire valley about five miles south west of Basingstoke, the nearest large town. 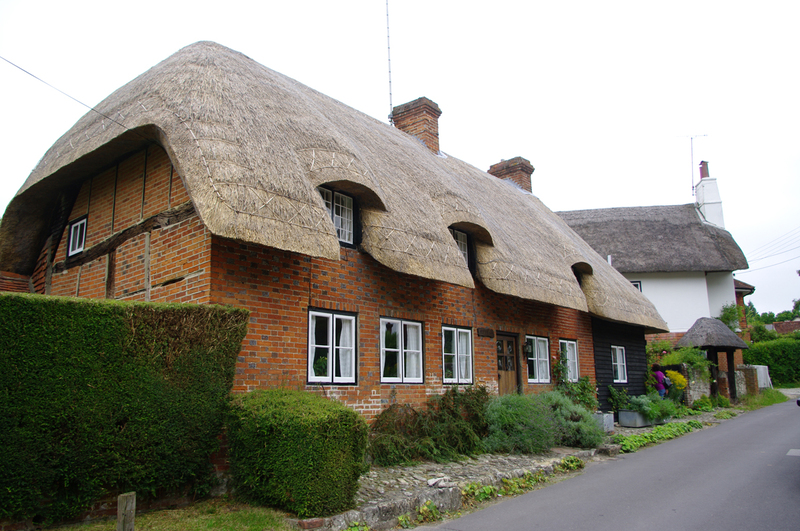 When you visit Steventon today there are a few cottages and houses, not dissimilar in number to Jane’s days and a cross roads that has a cluster of old cottages, some of them terraced, set in a beautiful verdant landscape of fields and trees and gently rising downland. The Dashwood women see Barton Cottage for the first time. Sense and Sensibility, 2008. Take the fork at the cross roads along the valley and within a few hundred yards you come to a lane that branches off to the right, almost hidden by bushes and trees. 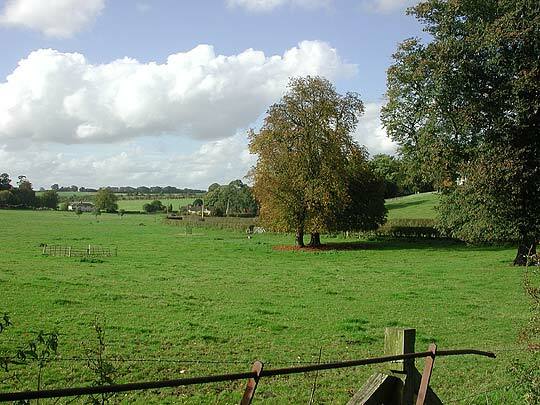 If you can stop at this corner and look into the field on the right, there are two or three tall mature trees , sycamore and ash, and next to one tree is a rustic wooden fenced area with an old water pump in the centre. This is the site of Steventon Rectory, Jane’s old home. The pump is presumed to be the pump the Austens had in their back yard. This rectory had become derelict, and was demolished by Edward Austen Knight when his son, William Knight, took over as vicar of Steventon. When George Austen retired, he moved Jane, Cassandra and their mother to Bath. James Austen became the new vicar until his death in 1819, when Henry Austen stepped into the position. The pump. 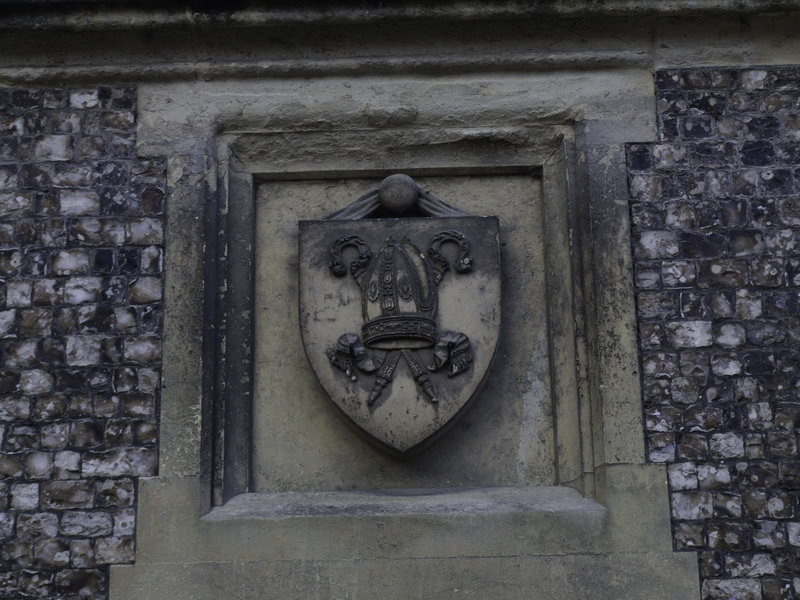 Relic at Steventon Rectory. Illustration by Ellen G. Hill, 1923. 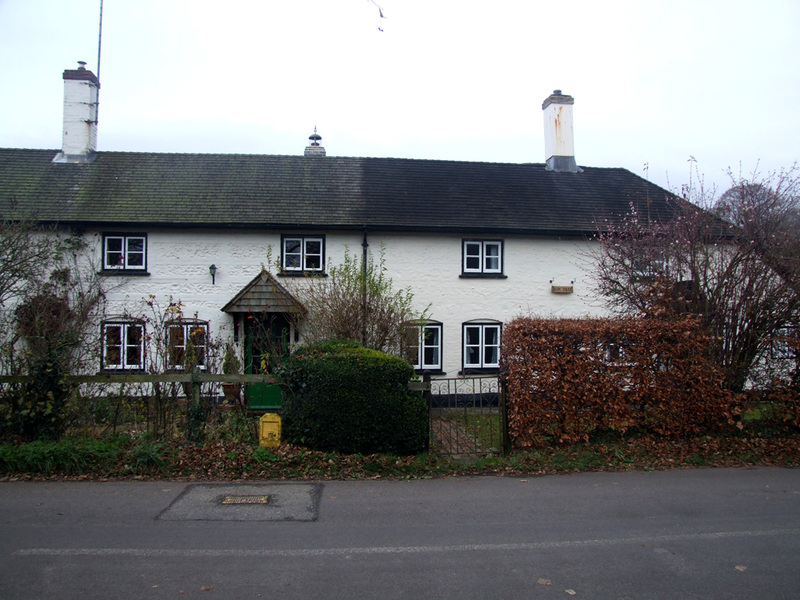 Edward had the new rectory built in the valley in fields on the opposite side of the road. It still stands today, a fine white house on the sunny side of the valley facing south east. Behind the site of the original rectory where Jane lived there is a grassy meadow sloping steeply upwards for a quarter of mile to where her father’s church, St Nicholas, is situated next to a large house where the Digweeds lived. Jane, Cassandra and her brothers often scrambled up the hill behind their rectory to play with the Digweed children.They were some of their childhood friends. There are cultivated fields, meadows and woody areas all around, especially on the top of the hill near the Digweeds home behind the rectory site. Site of the Steventon Rectory today. The fenced in pump is at left. The rectory Jane lived in would have been quite spacious because at least seven children lived there, five of her six brothers, herself and her sister Cassandra as well as her mother and father, a couple of servants and for much of the year, sons of some of the local gentry who sent their boys to the Reverend Austen for education and entry to Oxford or Cambridge. Oxford had been the Reverend Austen’s university. Her brother George did not live with the family however because of his disabilities. He was virtually adopted by another family who cared for him. Whether it was for financial gain I am not sure. So the rectory must have been spacious. Barton cottage doesn’t resemble the rectory from this description but Jane must have used her knowledge of cottages in the area of Steventon. Jane is very precise about the size of the two sitting rooms, sixteen feet square. 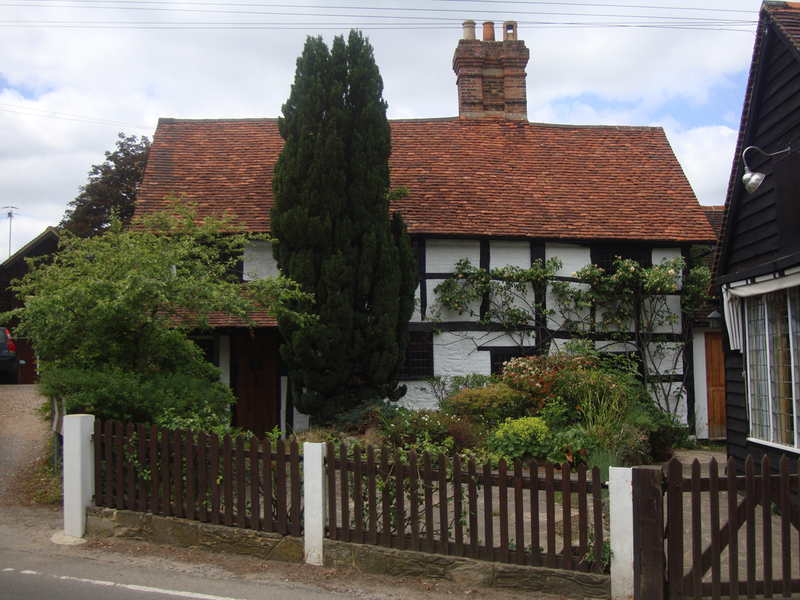 The cottage is used in a special way within the novel. She describes it as being , “defective.” This is symbolic of the situation Elinor, Marianne and their mother are in. They are experiencing fractured times and are out of place financially, socially and the cottage they have come to, places them in a different strata of society than they are accustomed to. From the exact dimensions of the sitting rooms Jane Austen gives us, aren’t those rooms too small to socialise in the manner they are used to? It is a,”defective,” place on many levels and it’s not like other cottages. 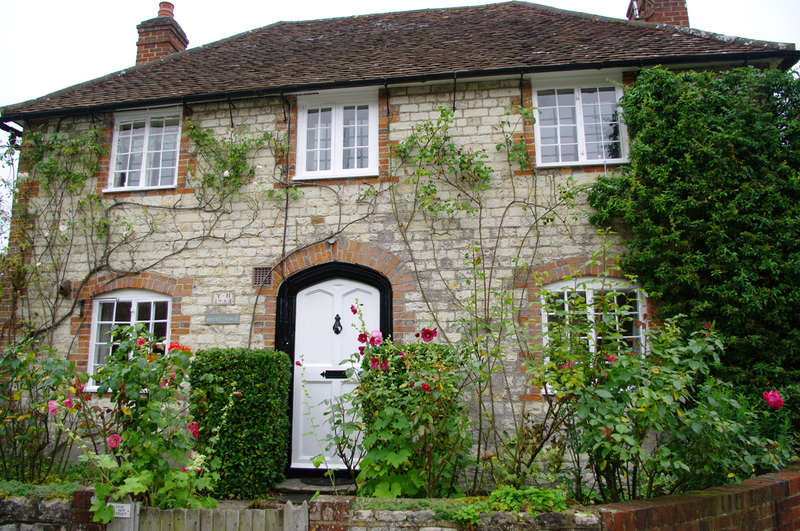 Jane would have been very familiar with the traditional country cottage but she makes Barton Cottage different, almost an eye sore, bare of climbing honeysuckle and green painted windows. Mrs Dashwood has plans for it, to change it and develop it. But can these come to fruition? Can the cottage be developed and grow? Can the Dashwood sisters adapt, develop and grow ? Does Barton owe much to Steventon? I would say so. Steventon formed Jane’s knowledge and experience of cottages and she used that knowledge of how cottages are and the meaning in social class and wealth different cottages might portray to incorporate the cottage at Barton into the fabric and meaning of Sense and Sensibility. 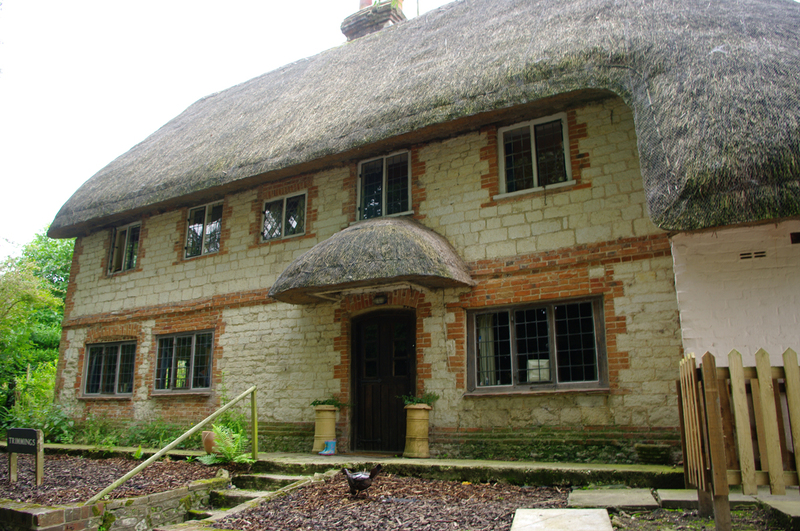 If you ever visit Hampshire and pass through the countryside you will see a variety of types and styles of cottage. Cottages have always been built with local materials readily at hand. 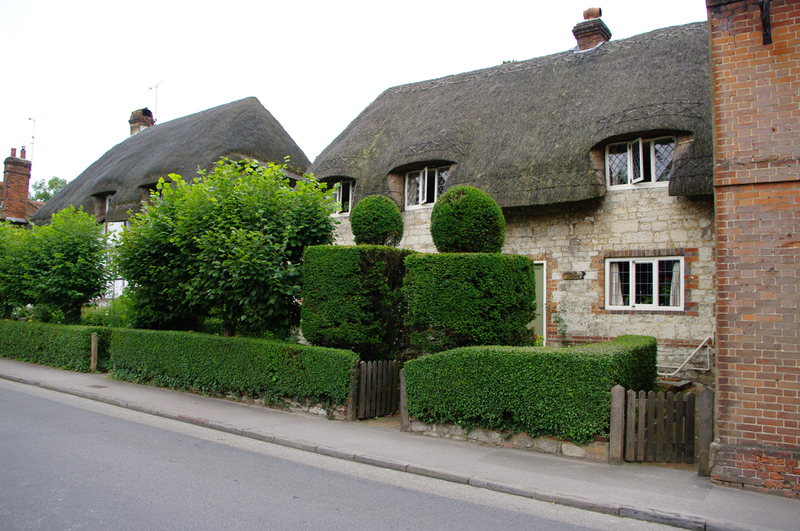 In the Cotswolds you will find most villages made from Cotswold stone and roofed with tiles sliced from the same stone. This is a creamy yellow colour. Climbing roses, wisteria, lichen and mosses have had plenty of time to insinuate themselves into and on these mellow warm coloured buildings. 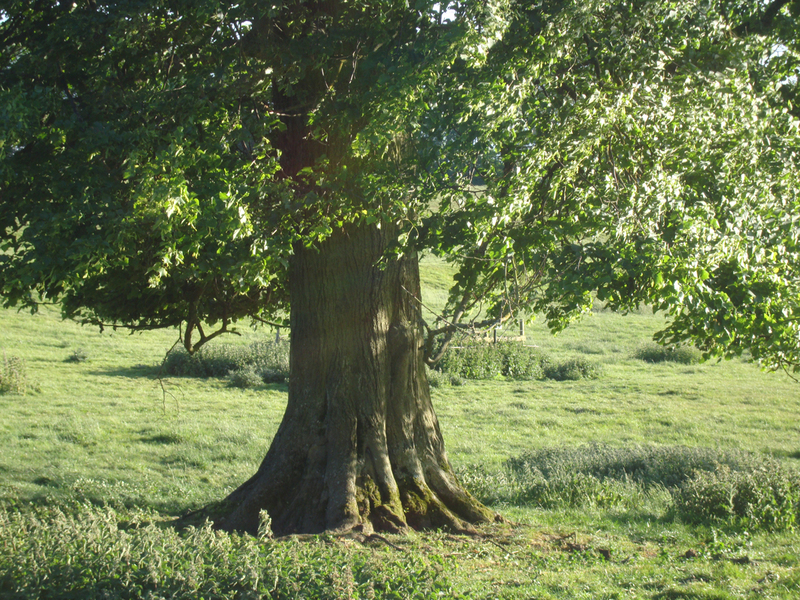 Hampshire, with its oak, elm and ash forests has many timber frame cottages. Great beams of wood cut from massive oaks have been merely incorporated into the frame and the spaces between the oak beamed framework filled with wattle and daub. The roofs are thatched with reeds or wheat stalks. Some have clay tiles where local clay deposits provide the raw material and Hampshire brick works do the work of firing the tiles. Many buildings are made of flint. Hampshire has large areas of chalk downland. Within the chalk are found nodules of flint. Nobody is quite sure how flint is formed in the chalk but it is a very hard crystalline rock, glassy in substance. It has been one of the most versatile materials ever. Stone age man used it for axes, arrow heads, scrapers and knives. It has been used and is still used to build strong walls. Flint lock muskets used tiny bits of flint fixed into their firing mechanism to create a spark which ignited the gunpowder to propel the musket ball down the barrel. Flint can be struck against flint or metal to create a spark to light a fire. Chawton House Library has in its collection a rare green suit worn by Jane Austen’s brother, Edward. The suit – a child’s frock coat with matching breeches – looks very similar to the clothes young Edward is seen wearing in the Wellings Silhouette, which depicts his presentation to his adoptive parents. The suit is made of green silk, while the coat is fully lined with gold taffeta. 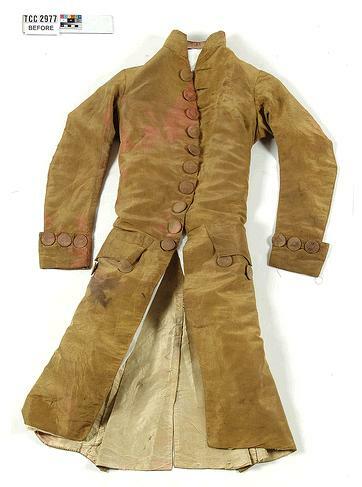 Edward apparently liked oversized buttons, which can be seen in this frock coat and in the Grand Tour painting he had commissioned during his travels through Europe as a young man. As you can see from the images of the suit (below), extensive and expensive conservation work is needed to stabilize the suit’s condition to prevent its further deterioration. Work on long term preservation is required before the suit (which was made in 1789 ) can be displayed, and donations are needed for its long term preservation. The suit’s provenance is impeccable. While experts can’t categorically say that this is the actual jacket worn in the Wellings silhouette, it certainly belonged to Edward. The suit was passed down through generations of the Knight and Bradford family, and finally ended up in a dressing up box belonging to the Bradford family. The Bradfords are relations of the Knight Family and also descendents of Edward Austen Knight. Richard Knight, current owner of Chawton House, was given the suit some years ago by the Bradford Family. 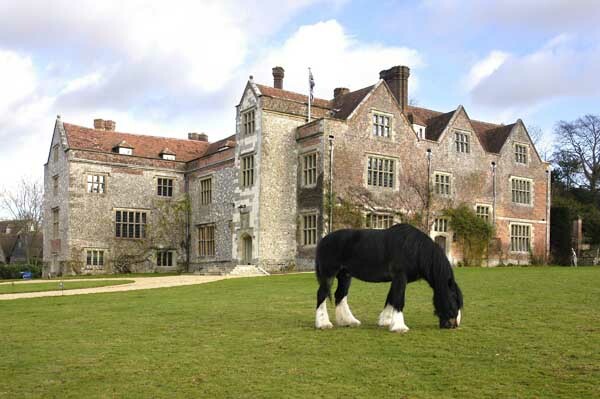 The freehold of Chawton House has remained in the Knight family ever since the sixteenth century, though on many occasions the ownership passed laterally and sometimes by female descent, requiring several heirs to change their surnames to Knight. Sir Richard Knight, who inherited at the age of two in 1641, had no children and he left the estate to a grandson of his aunt, Richard (Martin) Knight. His brother, and then his sister, Elizabeth, inherited in their turn. During the first part of the eighteenth century, Elizabeth undertook the further development of the house and gardens. She married twice, but again no children were born, and when she died the estate passed to her cousin Thomas Brodnax May Knight, who united it with his own large fashionable property in Kent, Godmersham Park. In 1781, Thomas Knight II inherited, but when he and his wife Catherine showed no sign of having children of their own, they adopted a son of the Reverend George Austen, who was a cousin of Thomas Knight’s. The Austen’s had six sons and two daughters, and the Knights adopted the third eldest son, Edward. 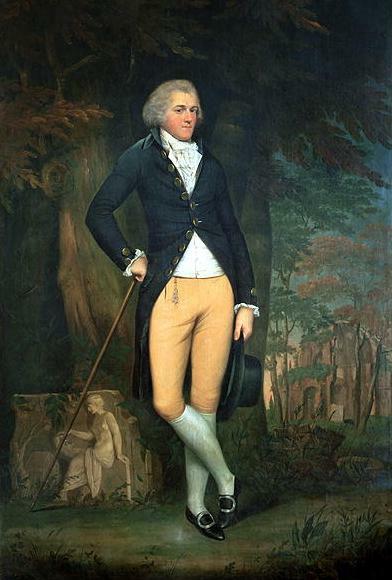 Edward Austen Knight eventually took over management of the estates at Godmersham and Chawton in 1797, living mostly at Godmersham and letting the Great House at Chawton to gentlemen tenants. 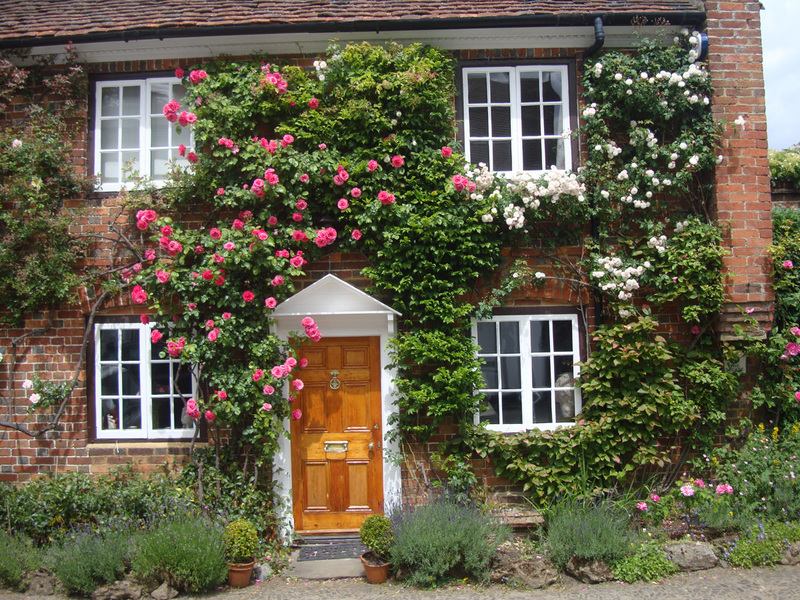 In 1809 he offered a house in the village to his mother and two sisters Cassandra and Jane, and it was there that Jane Austen began the most prolific period of her writing life. Her career as a novelist took off with the publication of Sense and Sensibility in 1811, and she went on to publish a further three of her novels while at Chawton (two more followed shortly after her death). She lived in Chawton almost until her death in 1817, only moving to Winchester near the end of her life to be nearer medical care. This meeting and subsequent adoption is a pivotal moment in English literary history because, had not Edward been adopted by Thomas and Catherine Knight, and then inherited Chawton House, his sister, Jane Austen may not have been able to complete her novels and as a consequence, probably the most famous women writers of the age, would never have been discovered. The Library intends to eventually display the suit in the Oak room at Chawton House, a room well known by Jane Austen and where the original of the ‘Wellings’ silhouette is located. Supporters are asked to donate funds for the project, which will cost £12,000 ($ 17, 318). A stockman and environmentally controlled cabinet need to be custom-made for a secure display. A child’s mannequin, which must be constructed of conservation quality materials, will also be made for the display. 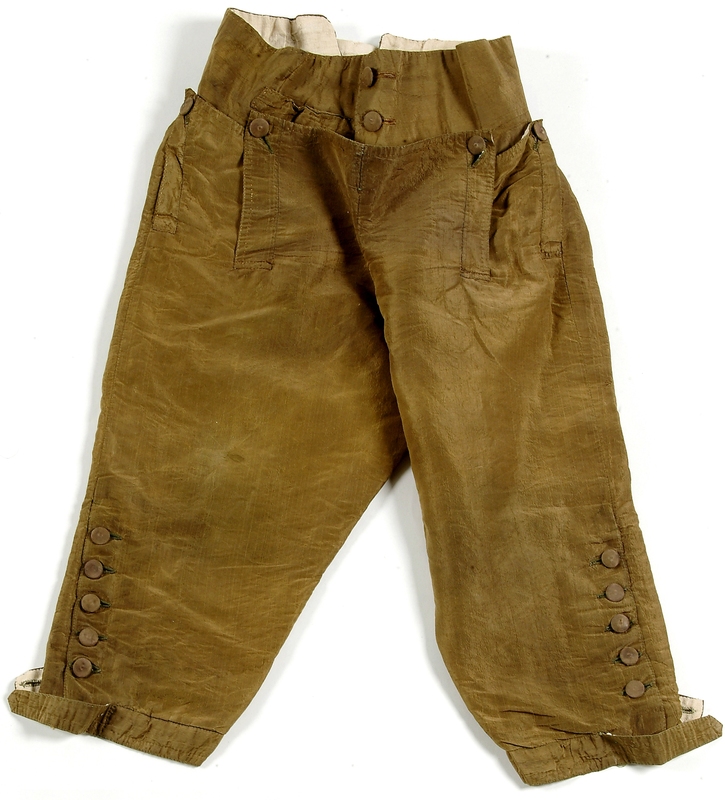 Green silk Breeches, dated to approximately 1789. Additional plans include making a replica suit to show to school children. Students and visitors will learn about the social history and background of the suit, including its style and construction, and from what materials the suit was made (silk and taffeta), who made it, and where the silk came from. To make a donation, click on the link to the Virgin Giving website. The house is open to the public for ‘Open’ tours in the afternoon of Tuesdays and Thursday each week, and pre booked tours most days of the week. Conferences based on studies of the ‘Long’ 18th Century and women writers are scheduled regularly. Last year an important three day international conference was held to celebrate the bicentennial anniversary of Jane Austen’s arrival in Chawton. The event was attended by Austen scholars from all over the world. In excess of 8,000 visitors visited the house, gardens and library last year. Chawton House Library works in partnership with Jane Austen’s House Museum to provide high quality visits to both sites for primary, secondary and A level schools and colleges. These include presentations of Jane Austen Life and works, tours of both houses, workshops relating to dress, manners and the use of herbs, dancing in replica clothing and an opportunity to handle real objects from the period of Austen’s life. For this work both Houses were awarded a Heritage Education Trust award. Restoration of Edward’s suit is integral to the history of Chawton House and also has an important place in the interpretation of the life and legacy of Jane Austen. Thomas Draddyll in 1789 wears a typical boy's suit of the era. Painted by Sir Joshua Reynolds. Edward Austen Knight: A tightwad or a man with heavy responsibilities? “To be above vulgar economy” … was one of Jane Austen’s express wishes, yet on the surface it would seem that her rich brother Edward contributed very little to Jane’s and her mother’s and sister’s notions of security. How was it that Edward’s fortunes were so very much above that of his family, and why did he not do more for his sisters and mother than provide them with a roof over their heads and a small annual sum? The Austens must have been thrilled beyond belief when Thomas Knight, George’s rich, childless cousin, took an interest in Edward, his third son. The practice of childless couples in adopting an heir from a less fortunate branch of the family was not an uncommon one for wealthy relatives to take at the time. When Edward inherited his estates from his adopted father, he became richer than Mr. Darcy, earning £15,000 per year from his investments against Mr. Darcy’s £10,000 per year. Multiply this number by 50 and you have an approximate amount of how much income Edward enjoyed in today’s terms. And yet, with such a rich brother, Jane and her sister and mother worried a great deal about money after the sudden death of Rev. George Austen in Bath in 1805. Three of the brothers rallied behind them. Edward’s initial pledge of £100 a year almost doubled his mother’s income of £122 from a small South Seas fortune, and both Henry and Frank pledged £50 apiece per year to support their mother and sisters. Cassandra received a small income from Tom Fowle’s £1000, which he had bequeathed to her in his will. Even so, the three women were forced to move in March to more affordable rented living quarters on Gay Street, and then to Southampton in 1806, where they, along with their friend Martha Lloyd, shared a house with Frank Austen and his new bride. Edward finally came through for his mother and sisters. 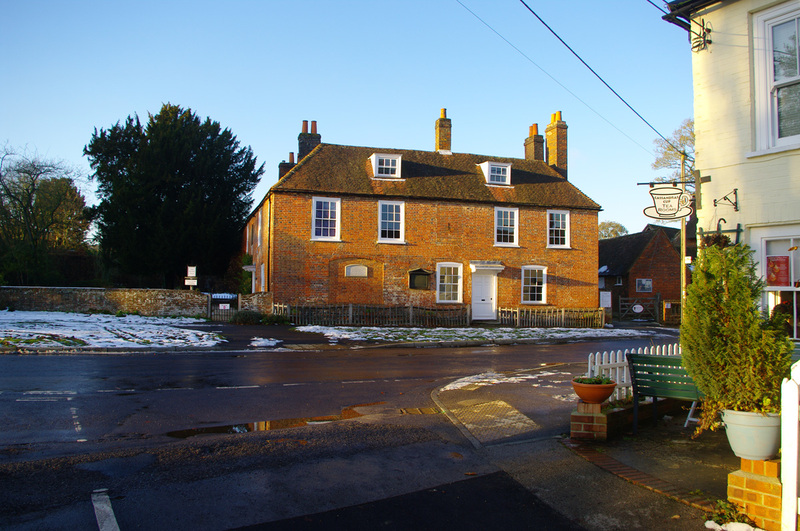 Four years after his father’s death, he refurbished Chawton Cottage and invited them to move in. 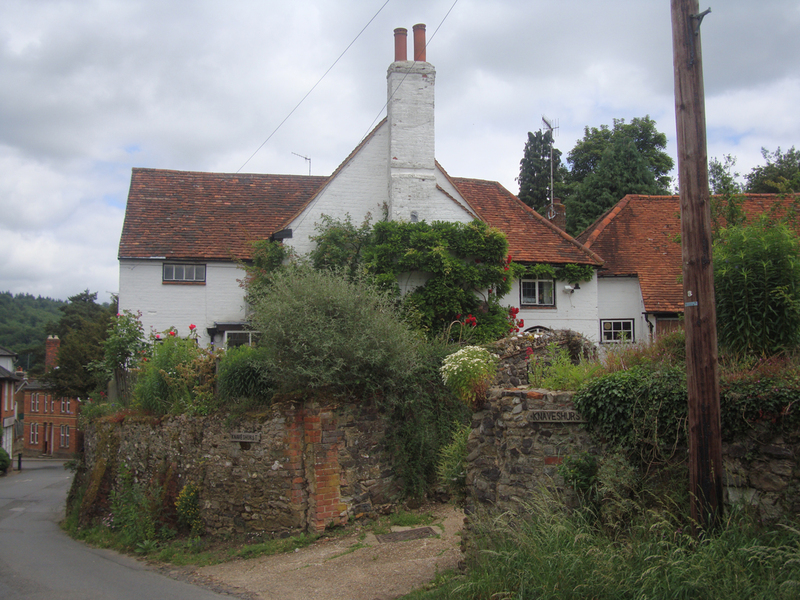 It was in this cottage that Jane was at her most prolific, polishing off earlier versions of Pride and Prejudice and Sense and Sensibility and famously writing Mansfield Park, Emma, and Persuasion. In skimming through a variety of biographies, many authors treat Edward’s seeming parsimony with a hint of contempt. The Knights had a history of generosity towards their poorer Austen relatives. Thomas Knight, second cousin to Rev. George Austen, gave him two livings that were valued at £210 the year that Jane was born. At Steventon, the Austens also had land to farm, which was an important factor in their diet and maintaining their self-sufficiency. The Austens also took in boarding pupils, and by the time Rev. Austen retired , he was earning almost £600 per year, the same amount that his eldest son, James, made towards the end of his life. Jane, her sister and mother had fallen on hard times. 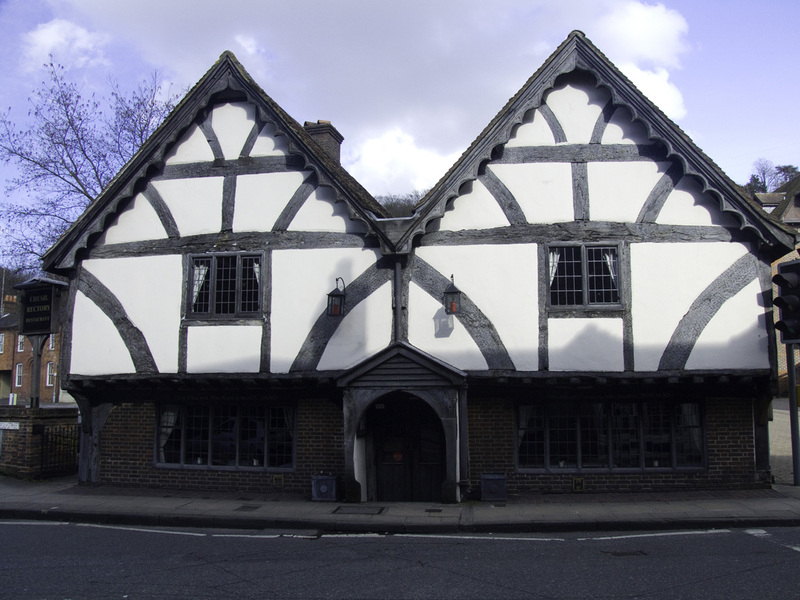 Financially dependend on their families, they are forced to move in March to rented living quarters on Gay Street, and then to Southampton in 1806, where they, along with their friend martha Lloyd shared a house with Frank Austen and his new bride. Finally, four years after his father’s death, Edward Austen Knight refurbished Chawton Cottage for his mother and sisters, and had them move in. The walled garden, designed by Edward Austen Knight on the advice of his sisters Jane and Cassandra, is being recreated to provide not only flowers but organically grown fruit, vegetables and herbs, some of which will be used in contemporary recipes to be prepared in the kitchens. The church where Jane’s mother and sister are buried sits halfway up the drive. (from Chawton site)There had always been generostiy from the Knights towards the Austens. .
Jane’s mother, Cassandra, who was related to the Leighs of Stoneleigh Abbey, placed a great hope that her rich childless brother, James Leigh-Perrot, would leave money to her eldest son James. While James Leigh-Perrot provided James with a clerical living and some supplementary cash, his property eventually went not to James, but to his son, James Edward, who was Jane Austen’s biographer. James Leigh-Perrot left nothing to his sister Cassandra, even knowing that she lived on a small income. He might have supposed that her uber rich son, Edward, would take care of his mother, which, in a fashion he did. Why did Edward not contribute more to his mother and siblings? This is mere conjecture on my part, but Edward did the best he could under the circumstances. Yes, he was rich beyond imagining, but his responsibilities were many and heavy. He inherited two large estates, which were the physical embodiment of his inheritance. The laws of primogentirue demanded that as the heir, he should keep everything intact, from the land, which provided the income, to the house and all the family heirlooms within it. The heir was merely a “keeper” of the estate and the family name, and his actions were proscribed. Edward was more a tenant than an owner, and he was duty bound to turn over his entire estate to his male heir. – The Country House, JASA. Running these estates, with their attendant servants and necessary improvements, took an enormous, some would say crippling, amount of resources. In addition, Edward’s family was large. His first wife, Elizabeth, died after giving birth to their eleventh child. Add his seven brothers and sisters, his biological mother and adopted mother and her family, the Knight family, and the ever widening circle of nieces and nephews, and the even larger circle of aunts, uncles and cousins on both the biological and adopted sides, and you can imagine the pressures Edward must have felt all around. Had he doled out what we would deem as adequate support to all the needy individuals in his extended family, Edward’s estate would soon have been frittered away. One cannot fault Edward too much for moving prudently and cautiously, for he was obliged first to his immediate family and the need to provide for adequate dowries for his daughters and support for his younger sons. I do fault him for not helping Jane to repurchase her manuscript, Susan (renamed Northanger Abbey), for the measly sum of £10, so that she could pursue its publication, but for all we know she might have never applied to him for help. I sometimes wonder if the Austen women were as destitute as people today conjecture. Unlike 90% of their countrymen, who rarely traveled outside of their immediate area, the Austens traveled frequently, visiting friends and relatives. They were able to keep two servants and supplement their diet with vegetables from their kitchen garden, and received an endless supply of milk from Edward’s cows. Jane secured a modest but extra income from her writing, and the three women lived off a yearly income of £500 pounds, which was only £100 less than Rev. George Austen earned, who had a family of eight to feed, in addition to his boarders. Jane’s eldest brother, Rev. Frank Austen, managed to keep a carriage for his second wife on an income of £600 per year. I am not saying that the three women were rich, by any means, for, like Elinor Dashwood, they lived frugally and prudently, but they did dine frequently with Edward and visited him over extensive periods of time at Godmersham Park, which must have been as luxurious an experience as any visit to a high end resort. Edward Austen Knight’s Godmersham Library and Jane Austen’s Emma. The Grand Tour in the 18th-19th century: includes information about Edward’s grand tour, which he undertook at the age of 18. 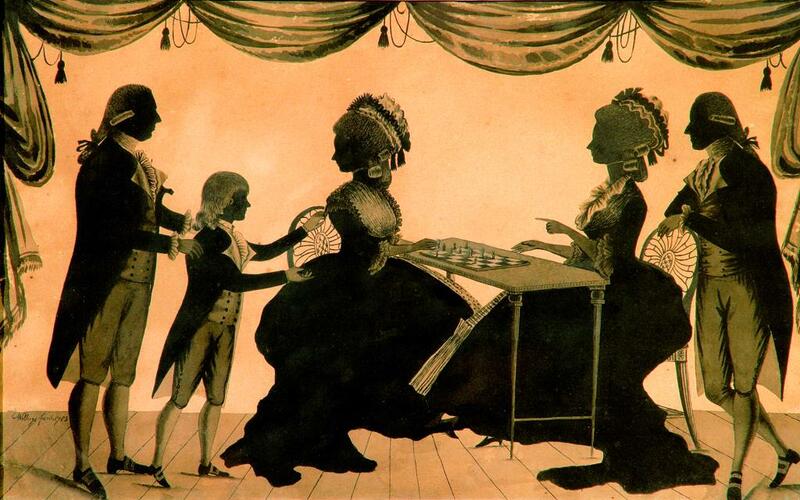 Gentle reader: In honor of JASNA’s annual meeting in Philadelphia this week, this blog, Austenprose, and Jane Austen Today will be devoting posts to Jane Austen and her siblings. Look for new links each day. When Jane Austen’s brother, Edward Austen-Knight returned from his grand tour, he brought back as one of his souvenirs the solemn portrait that we have come to associate with his image. Since the 17th century, it was de rigeur for young English gentleman of privileged background to embark on a 2-4 year trip to see the historic and cultural places of Europe with their tutors. There was a marked difference between a gentleman who had gone on such a life-altering excursion and one who hadn’t, a certain polish, if you will, and knowledge of the world that distinguished such a person. Armed with letters of introduction and letters of credit, the young gentleman would set off by boat and cross the channel, landing in Calais. This crossing was fraught with danger. Sea sickness was not uncommon, and ships were known to capsize during heavy storms. Once the pair landed on the continent, they would visit a number of popular Grand Tour sites: Paris, Rome, the Netherlands, Germany, Venice, Florence and Naples were popular destinations. The Grand Tourist would travel from city to city and usually spend weeks in smaller cities and up to several months in the three key cities. Paris was definitely the most popular city as French was the most common second language of the British elite, the roads to Paris were excellent, and Paris was a most impressive city to the English…Other locations included as part of some Grand Tours included Spain and Portugal, Germany, Eastern Europe, the Balkans, and the Baltic. However, these other spots lacked the interest and historical appeal of Paris and Italy and had substandard roads that made travel much more difficult so they remained off most itineraries. Click here to take an interactive Grand Tour online. Such a protracted trip came with a hefty price: during the 18th century, a grand tour of three years could cost as much as 5,000 pounds to visit these “museums of history, civility, and culture.”* Many young men, such as Edward Austen-Knight, returned with portraits painted of themselves; others returned with entire collections, influencing the styles at home. It was no coincidence that Neo-classicism and the Palladian ideal were popularized during this era. “In high society, milord anglais on this Grand Tour pillaged the Continent for old Masters (genuine, fake or retouched), took an artist or two in tow, and built and embellished at every opportunity.” (Porter, p 243). Grand Tours did not always turn out for the best. Some young men, rather than taking the opportunity to acquire as much cultural knowledge and polish as possible, gambled away fortunes, formed mesalliances, or contracted venereal disease during their sexual exploits. Tutors were also known as bearleaders, a title that hints at the unruly behavior of their charges. (Norton Anthology) Lord Chesterfield’s letters to his natural son, who was on the Grand Tour, sought to remind him of how a gentleman ought to conduct himself at all times. After their tour was over, a number of young men in the latter half of the 18th century, continued to copy the tastes and styles of continental society. 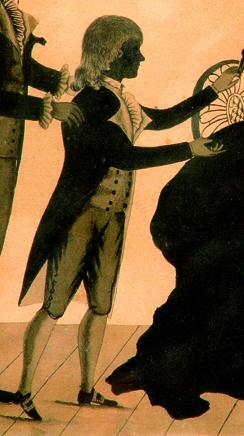 Marked by their dress and behavior, these dandies were known as macaronis (see image). The Grand Tour was momentarily suspended during the Napoleonic wars, but was quickly revived once the conflict was over. Young ladies, Maria Edgeworth and Mary Wollstonecraft, for instance, would also embark on these journeys with their companions, however these tours were not expected to round out her education or develop her character in the same manner as a man’s. Princess Caroline, who died in childbirth in 1817, had gone on a Grand Tour after the Napoleonic Wars ended, and was romantically involved with an Italian courtier, Bartolomeo Pergami. During the Edwardian era, it was common for a young lady to travel abroad on a relatively short trip with a companion. Lucy Honeychurch in A Room With a View (click here to read my review of the 2007 movie) was one such girl. Jo March from Little Women had hoped to accompany her Aunt Carol to Europe, but it was her sister Amy who was invited along instead. Porter, Roy. English Society in the 18th Century, Penguin Books, London, 1991. Update: View Edward Austen Knight’s full painting here and learn about his Grand Tour journals here.